These products are shipped from our affiliate's warehouse in CA We ship across the 48 contiguous United States except for CA due to tax collection issues. Enjoy same day shipping when your order is processed by CAS before 12:00 pm Pacific Time (PT) Monday-Friday. Orders placed after 6:00 pm Pacific Time (PT) will ship the following business day. At this time FedEx Ground does not deliver to APO, FPO, DPO or PO Boxes. Tracking numbers are emailed upon shipment and can be tracked online at www.FedEx.com for package travel history and delivery dates. FedEx Standard 5-8 business days and FedEx Ground 1-5 business days. Our standard shipping method is serviced by FedEx Smart Post that utilizes the U.S. Postal Service (USPS) for final delivery. Packages are 100% insured against loss in transit or damage. Customer satisfaction is very important to us. Products may be returned within 30 days of receipt. If you are not 100% satisfied with your purchase, you can return your order to the warehouse for a full refund of the product price. Refunds are processed backed to the method of payment at the time of purchase. Returns must be unworn, in the state you received them, in the original condition and packaging to warrant a refund. You can expect a refund within 14 days of our receiving your returned product. You will be refunded the shipping cost if the return is a result of a defective item, manufacturer error or a shipping error on our part. CAS takes no liability on these products. Any injuries caused by the use or misuse of these products are the responsibly of the customer and the manufacturer of each product. When you pay for these products through CAS (Pay Pal), you agree to this liability statement and agree not to bring suit against CAS for any problems with these products. Orders $185 and up, ship for free unless otherwise noted below. ﻿Fed EX Ground shipping time in transit depends on the area. Make sure to include your name, shipping address, and phone number. CAS will send you an invoice to your email which can be paid by Pay Pal or through Pay Pal's system using a credit card. After your invoice is paid, CAS will process your order and it will be shipped to you from our affiliate's warehouse. PA residents must pay 6% Sales Tax in addition to the prices below. 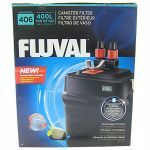 Fluval 406 Canister Filter delivers many practical benefits including better filtration, less maintenance frequency, faster setup, and quieter operation all designed to make fish keeping more enjoyable. 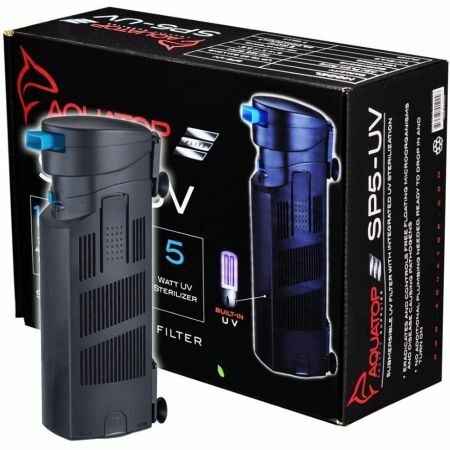 Building on the success of Fluval 05 Series filters, this filter provides enhanced functionality and filtration performance to create the cleanest, healthiest aquariums ever. Fluval FX6 is a high-performance canister filter with many outstanding features designed to make aquarium fish keeping easier and more convenient than ever. 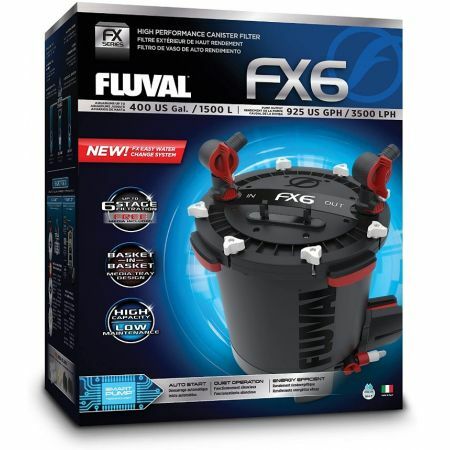 Fluval FX6 also features Smart Pump Technology, which provides optimal filter performance. This advanced technological feature employs an electronic circuit board that continually monitors the pump. Impeller speed and force are constantly measured to ensure powerful output and energy efficiency. It also manages the filter's self-starting feature and evacuates air that may enter or build up within the filtration system. On a 12-hour cycle, the pump will pause and allow trapped air to escape, ensuring the best filtration efficiency at all times. 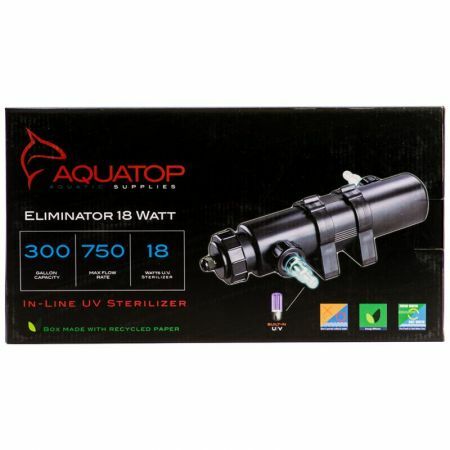 AQUATOP offers superior filtration products including Canister Filters with UV Sterilization. 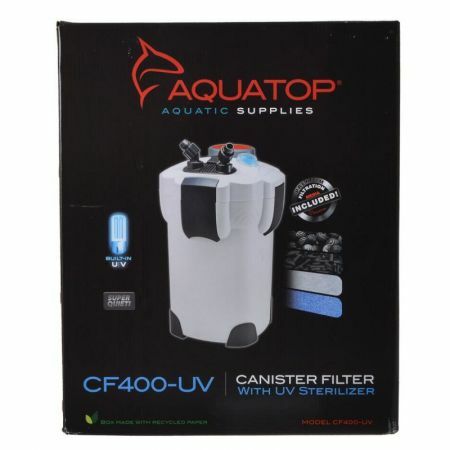 Capable of filtering tanks up to 175 gallons, the AQUATOP CF-500UV Canister Filter is a 4+1 filtration system that includes four media trays and an integrated UV sterilizer bulb to eradicate algae spores and harmful bacteria. For tanks up to 125 gallons, AQUATOP’s CF-400 Canister Filter is a 3+1 Filtration System with three media trays as well as UV sterilization. 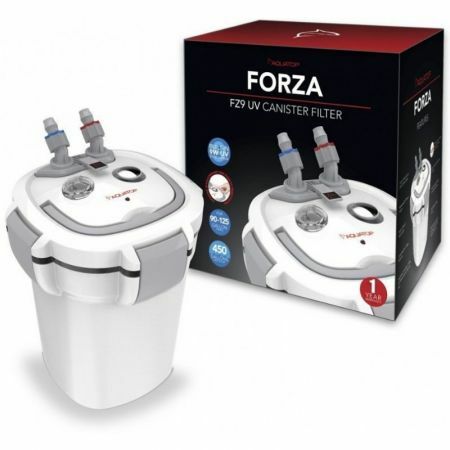 Both models include chemical and biological filtration as well as a convenient self-priming pump that eliminates the need for manual siphoning. AQUATOP’s Filter Sponges, Premium Activated Carbon, and Enhanced Bio Balls are included with the addition of Ceramic Rings on the CF-500UV. exposing it to the 5-watt or 7-watt UV bulb which sterilizes and clarifies the water. Unlike typical UV sterilizing systems, it is easy to install and requires no special plumbing so you can quickly experience a crystal-clear aquarium. The Eliminator series aids in controlling unwanted algae bloom and helps clear free-floating parasites such as Ich or Velvet. With a specially designed internal baffling structure, the unit forces water to pass by the UV unit multiple times before exiting back into a body of water. 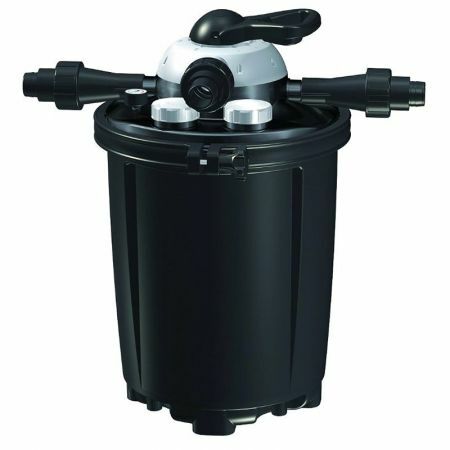 Each unit is compact and easy to use on fresh and saltwater systems.